The Faculty of Economics and Business Administration, founded in 1966 as the Faculty of Economic Sciences, has experienced a spectacular development in terms of its study programmes and teaching and research staff. If in 1966, the Faculty of Economic Sciences began its activity with 166 students enrolled in three specializations and a few professors, nowadays, FEBA has almost 3000 students and its teaching and research staff is comprised of 110 people. In Craiova, the students are enrolled in 10 Bachelor’s degree programmes, of which two in English, 11 Master’s degree programmes, of which one in English, and 5 Doctoral domains. There is also a branch of the Faculty of Economics and Business Administration, located in Drobeta Turnu-Severin, with 4 Bachelor’s degree programmes and 3 Master’s degree programmes. For more than 50 years, our faculty has taken pride in over 35 000 economists, of whom 9500 have obtained a Master’s degree diploma. Nowadays, they work within the most varied fields of the economic area. a 3 year cycle for Doctoral degree studies. The teaching staff working within the Doctoral School of the Faculty of Economics and Business Administration comprises 17 PhD advisors, who cover the following domains: Economics, Finance, Accounting, Management and Cybernetics. Within the Faculty of Economics and Business Administration, there are three accredited research centres: The Centre for Financial and Banking Research, the Centre for Economics and Business Administration Research, and the Research Centre for Business and Economics Computational Intelligence, focused on research axes and topics related to specific fields. Each year, FEBA organizes the International Conference Competitiveness and Stability in the Knowledge-based Economy- iCOnEc, in partnership with universities and research institutes from the European Union. “The Academic Journal of Young Economists”, (ISSN 1583-9982), First Edition 2003.
study/traineeship agreements with 47 universities. 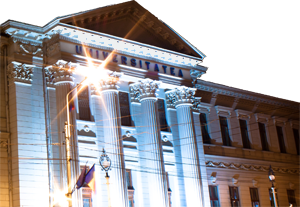 On FEBA’s initiative, the University of Craiova awarded the title of Doctor Honoris Causa to several outstanding specialists in the field of higher education and economic research: members of the Academy - Constantin Ionete, Mugur Isărescu, Gheorghe Zaman și N.N. Constantinescu, and Professors - Alexandru Gheorghiu, PhD; Constantin Bărbulescu, PhD; Horia Cristea, PhD; Joachim Zentes, PhD; Eleftherios Thalassinos, PhD, and Florin Georgescu, PhD.